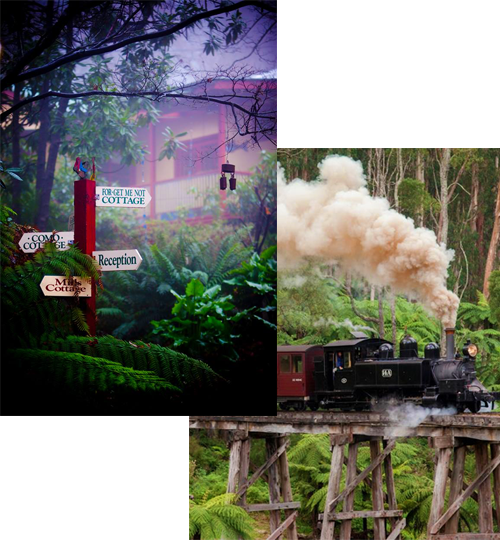 Located in Olinda, the heart of the Dandenong Ranges, multi award winning Como Cottages is close to the region’s shops, cafes, day spas, forest walks, parks and gardens. Fully self contained with generous full breakfast provisions, our one, two or three bedroom cottages feature spas, clawfoot baths, coonaras and open fires. 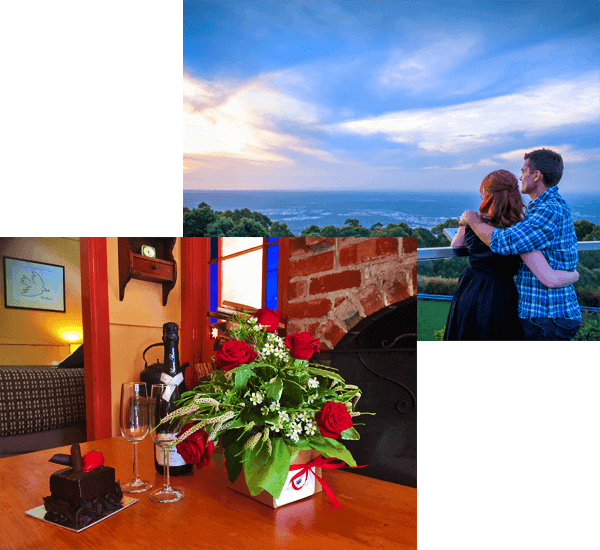 Perfect for couples, families and groups, the cottages are close to the region’s iconic attractions including Puffing Billy, the Cuckoo, Sky High Restaurant and the wineries and ballooning in the Yarra Valley.